Allah and Muhammad are two central figures in Islam, a worldwide religion. Islam is also known as the Muslim faith. In Islam, Allah is the supreme god or deity. He is the Creator, and is described as the “one and only God.” It is the name the supreme deity chose to identify Himself with in the Koran. Allah is the Muslim counterpart of the Jewish Yahweh and the Christian God the Father. Allah is considered to be true, perfect, and unique from other beings. Unlike the Christian supreme deity, Allah cannot be considered as a “the father” or any annexed names or figures, because He is above all other beings. Islam teaches that it is unacceptable to compare Allah to other beings unless in Allah’s role as Creator and supreme deity. On the other hand, Muhammad is an actual person that lived and died. In Islam, he is a prophet, messenger, and leader. He is also Islam’s founding father. His name means “praiseworthy.” In Islamic tradition, he is the last and most important prophet of Allah. Other religious prophets like Adam, Noah, Abraham, Moses, and Jesus are also considered as prophets, but Muhammad enjoys prominent status and recognition in Islam. This special status also affords him the position to be a mediator between Allah and a Muslim. Muslims also look to him as a role model in life and faith. Muhammad was born in Mecca to a prominent and powerful family. He was orphaned early in life, and was raised and protected by his grandfather. He had a family – a wife, two sons, and four daughters. He received visions (known as Ayah or Signs of God) from Allah or from the angel Gabriel. The being proclaimed that there is one and only one God. Other visions and revelations followed. The transcribed version of these revelations is the Koran. In this view, Muhammad is also known as the “recipient of the Koran.” The Koran is the primary source for Muslim faith and lifestyle. Due to his preaching toward monotheism, Muhammad was persecuted and driven away from Mecca. He and his followers settled in Medina after clashing with local Meccan tribes. Aside from being a prophet, Muhammad was also a capable military leader. He led Muslims in many raids, battles, and conquests. Many non-Muslims confuse Allah and Muhammad due to their prominence in the Islamic faith. 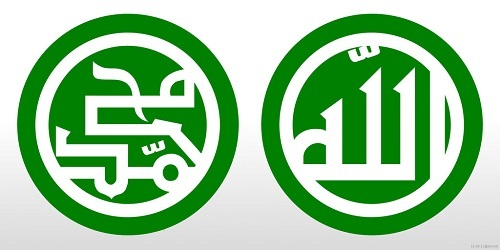 Non-Muslims assume that the two figures have the same station and receive the same treatment. According to the Islamic teachings and traditions, Allah must be worshiped as the one and true God. On the other hand, Muhammad, as Allah’s prophet, requires the highest respect and honor. Additionally, Muhammad and other prophets are always mentioned with the phrase “peace be upon him” as a sign of reverence. 1.Allah and Muhammad are central figures in Islam. Allah is the supreme god in Muslim worship, while Muhammad is his prophet and messenger. 2.The main difference between Allah and Muhammad is that Allah is the Creator and Muhammad is the creation (in extension, the founder of Islam). 3.Muslims give worship to Allah and high respect to Muhammad. Respect is also given to other prophets that came before Muhammad. This is recognized by adding the phrase “peace be upon him” when their names are mentioned. 4.Muhammad has a special and prominent position in Islam because he is the founding father of Islam. He is the last prophet and messenger, which signifies the fulfillment of Allah’s other revelations and prophets. 5.Other prophets from the Judeo-Christian tradition are included as Allah’s prophets. They are Adam, Noah, Abraham, Moses, and Jesus. 6.The Koran is the product of Allah’s revelations to Muhammad. Celine. "Difference Between Muhammad and Allah." DifferenceBetween.net. July 31, 2017 < http://www.differencebetween.net/miscellaneous/religion-miscellaneous/islam-religion-miscellaneous/difference-between-muhammad-and-allah/ >. hey bro Ibrahin (a.s.) was prophet of GOD means ALLAH not father and MOHAMMED (PBUH) is also prophet as Ibrahim (A.S.) was. no body can be father of GOD means ALLAH. ALLAH is creator where as Ibrahim (A.S.) was creation of ALLAH. There is no mediator between a muslim and the creator. It is a grave error to say that. His status only affords him(pbuh) the title as the final messenger. Muhammed (pbuh) was not the founder of Islam. He was given a message from our creator to convey in an Arabic language to confirm the previous scriptures in a protected book. He was a JUST a warner. And taught there should be no compulsion in religion. Those who say or do different have invented their own deluded religion and are in error. Allah is really just Muhammad’s alter ego. I challenge any muslim to prove from the Quran Allah’s independence from Muhammad. i.e. could Muhammad prove he existed outside his own alleged revelations. In case of Moses; He split the Red Sea so the Jews can pass through in, a miracle in front of millions of slave Jews, according to the Jewish Bible (Tanakh). No problem there. In case of Jesus; He did countless miracles and not to mention his resurrection from death, according to the bible. No problem there too. One example – Muhammad SAWS splat the moon. There are numerous passages in the Quran in which Muhammad by his own admission clearly states that he could not perform any miracles. But then you have an authentic hadith such as Sahih Al-Bukhari, Volume 4, Book 56, Number 831 stating that he did perform a miracle such as splitting the moon , If bukhari is indeed right regarding the moon miracle then this clearly contradicts your holy Quran. Be that as it may, let’s assume bukhari is right, can you provide me one single no-Muslim historical/secular source that can back up this miracle claim. Moon splitting would have been a major world event; everyone would have been able to see it across the globe. muhammad(pbuh) is the last messenger of ALLAH. And quran and sahi hadiths are the books of islam.. So according to the hadith that muhammed had divided the moon into two parts and when he was child. One day when he was in bed. He started moving his leg. When the leg moves left the moon moves left and when the leg moves right the moon moves right… so i’m not competing muhammed(pbuh) to any other messenger..we believe in jesus christ and all the messengers but muhammed himself said in an hadith that if jesus would come to me. So he has to accept the way of allah and his messenger… Allah gave him the ocean of knowledge… Just understand what i’m saying brother…. Hope u understand. dear seeker, yes MOHAMMED (PBUH) did that miracel but with the help of ALLAH. MOHAMMED (PBUH) needs help of ALLAH. But ALLAH does not need any help when he want creat or do something he just say ‘kun’ and its happened. Wait for sometime and you will get that information when we truly understand moon. You are trying to avoid my question by answering with a question. The sacred books of Jews and Christians show that Moses did perform miracles. Jesus miracles are undeniable in the Bible, check out historical non- Christians records like Josephus. Now, when it comes to Muhammad the Quran is very clear – Muhammad could not perform miracles, not even one and so his excuse was that he’s just a messenger. You have books like the hadith which were written 200 or so years after his death which mention him performing miracle like splitting the moon. If the hadith says Muhammad performed miracle then that would contradict the Quran which says Muhammad couldn’t not perform miracles. For argument sake, let’s just say Muhammad did perform the moon splitting, the whole world would have been able to witness such an event and surely the astronomers would have kept records or anyone regardless of which faith. It’s simple case of Quran vs. hadith. Muslims are desperate to prove Muhammad was a prophet and invented this story about him splitting the moon which contradicts your own holy book. @Ahmed. You should look-up the word ‘Miracle’ in the dictionary since you don’t seem to understand what it means. DEAR FRIENDS. I HAVE FOUND OUT THAT ALLAH COMES FROM THE ELLAH (ARAMAIC WORD = ANCIENT JEWISH WORD FOR GOD) AND THIS IN TURN COMES FROM ELLAS (THE ANCIEND WORD FOR GREECE). THIS IS BECAUSE IN THE VERY ANCIENT WORLD, GREECE WAS THE MAIN CENTER FOR CULTURE TECHNOLOGY, ETHICS – RELIGION. M EL +LA = HL + LA = HL(IOS) +LA=SUN + STONE. THE WORD LA=STONE,IN THE VERY OLD GREEK PELASGIAN LANGUAGE. WE ARE TALKING ABOUT THE TIMES NORTHERN EUROPE WAS SCARCELY POPULATED DUE TO GLACIERS COVERAGE OR FLOODING RIVERS,LATER ON. Not correct. Aramaic descended from phoenician, which existed before greek civilization and greeks took their alphabet forms from the phoenicians. These are facts! Mohammad has also been PROVEN to be a CHILD MOLESTER and MURDERER !!!!! quran 2 vs 6.saying as to those who reject faith, it is the same to them whether thou warn them or do not warn them,they will not believe. vs 7 Allah hath set a seal on their hearts and on their hearing and on their eyes is a veil great is the penalty they incur. NOTE miracle is a primary objective for those that has the believed and is the last on the list for believer.please stop expatiating on what you don’t have knowledge off. Do u know how islam arrived in india.? A ruler of that time had himself seen the splitting of moon and said to his companions what was that. ?then he told that it is 1 of th miracle performed by muhammad PBUH by the will of Allah…..and besides this splitting of moon…u should know that before any revelation muhammad was illiterate…so this is not a matter of fun that an illiterate can speak such a heart melting words “words of Quran”…that means a qur’an is itself a miracle. .!! World came into existance since more than 5000 years as per historical and geographical evidence. But christianity and muslim beleives has no answer to the age old history.. they cant count beyond 2100 years… God created the earth millions of years ago and life existed since then.human civilisation existed as per records of harappa and mohenjadaro.Previously there was only one GOD . the BRAHMAM as per hindu phylosophy. Vedas the doctrins of Hinduism discribes the truth of creation of this Universe..simple showing a miracle like a magician could not create a faith…killing the fellow being to establish ones blind faith is a sin..No God can pardon it.GOD is an incarnation of LOVE and Compassion towards all living things…To know about GOD meditate silently and you will know the TRUTH…hate is your first enemy…love all human being irrespective of their faith and following….PRAY FOR A PEACEFUL DAY WITHOUT ANY BLOOD SHED AND KILLING. quran 2 vs 6.saying as to those who reject faith, it is the same to them whether thou warn them or do not warn them,they will not believe. vs 7 Allah hath set a seal on their hearts and on their hearing and on their eyes is a veil great is the penalty they incur…..Prophet Muahmmad was spritiually present before Prophet Adam and is also considered the last Prophet….in between there are close to 124000 approx prophets….sent on earth at different time n location….hence Muslims are not allowed to say anything wrong to any other religion hence they r showing truth seeker a wider picture to u wich ur small brain cannot accept….anyways jews believe Prophet Moses and reject all other Prophets sent after him….Prophet Jesus is not accepted who was sent for the entire world….Christians do not believe in Prophet Muhammad who is sent for the entire world…every Prophet was given a task n only 4 Prophets were given religious book…its informed in each book about the coming of Prophet Muhammad…..however priest never revealed this or else the entire world would have accepted only Islam…thats y Muslims accept all the prophets which are mentioned in Jews n Christian books not only that there r certain scholars who have traced Buddha Krishna n rama as also Prophets sent…. Quran 2 vs 6.Daying as to those who reject faith, it is the same to them whether thou warn them or do not warn them,they will not believe. vs 7 Allah hath set a seal on their hearts and on their hearing and on their eyes is a veil great is the penalty they incur…..Prophet Muahmmad was spritiually present before Prophet Adam and is also considered the last Prophet….in between there are close to 124000 approx prophets….sent on earth at different time n location….hence Muslims are not allowed to say anything wrong to any other religion hence they r showing truth seeker a wider picture to u wich ur small brain cannot accept….anyways jews believe Prophet Moses and reject all other Prophets sent after him….Prophet Jesus is not accepted who was sent for the entire world….Christians do not believe in Prophet Muhammad who is sent for the entire world…every Prophet was given a task n only 4 Prophets were given religious book…its informed in each book about the coming of Prophet Muhammad…..however priest never releaved this or else the entire world would have accepted only Islam…thats y Muslims accept all the prophets which are mentioned in Jews n Christian books not only that there r certain scholars who have traced Buddha Krishna n rama as also Prophets sent…. 2. In spite of there being so many other greater prophets than Muhammad who carried out more noble ministries, Muhammad is singled out for the highest honour, and guess what…by Allah himself who refused to grant Muhammad even a single miracle to at least authenticate to the pagan Arabs, his claim to being a prophet of the same God of Abraham, of Isaac, and of Jacob. 3. Rather interesting, Muhammad often spoke directly for Allah in the Quran, as if he already knew ahead of Allah, what Allah had in his mind. 4. In many verses of the Quran, you would hear Allah talking of himself “and” his messenger as if the two of them are one and inseparable in power and authority. I FIND IT STRANGE THAT ALL THE BILLION, PLUS – MUSLIMS DON’T NOTICE THIS. THE TRUTH WILL MAKE YOU FREE!!! God Bless all my Muslim brothers.